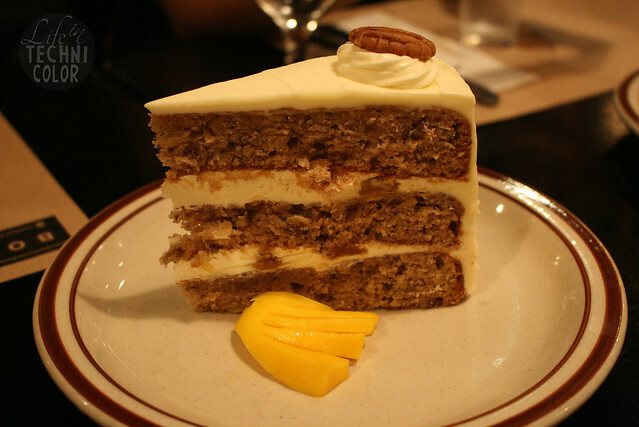 But just recently, I found a new favorite! 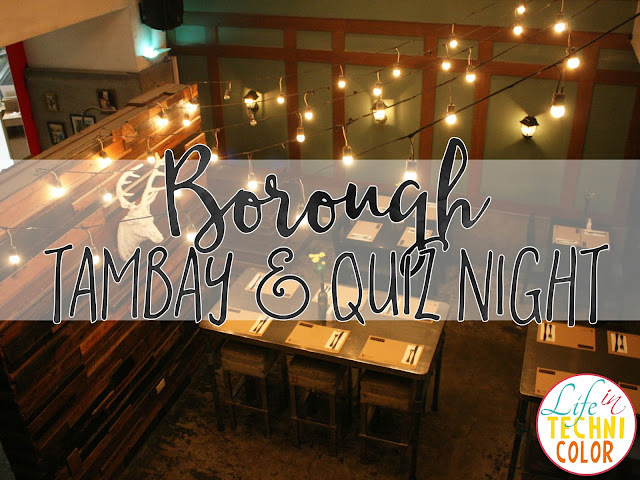 Borough held a Bloggers' Quiz Night where my friends and I got to hang out and enjoy their numerous appetizers and bar chow! 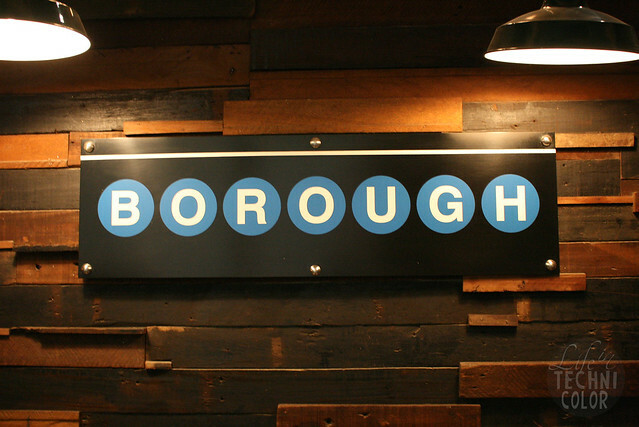 I completely love the chill, laid-back vibe here at Borough. Did you know that they're actually open 24 hours a day, 7 days a week?? 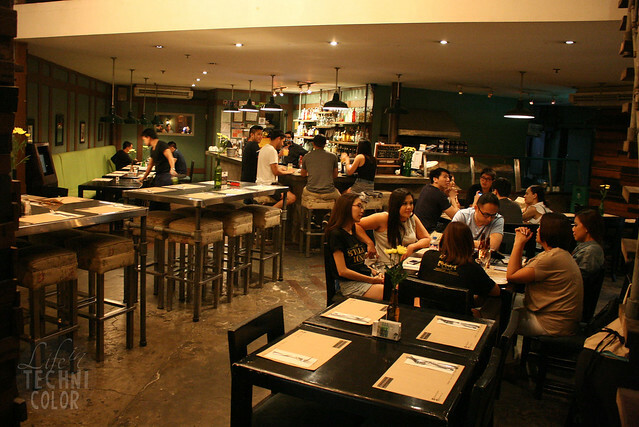 It's the perfect hang-out-slash-after-hang-out spot for the young and old alike! 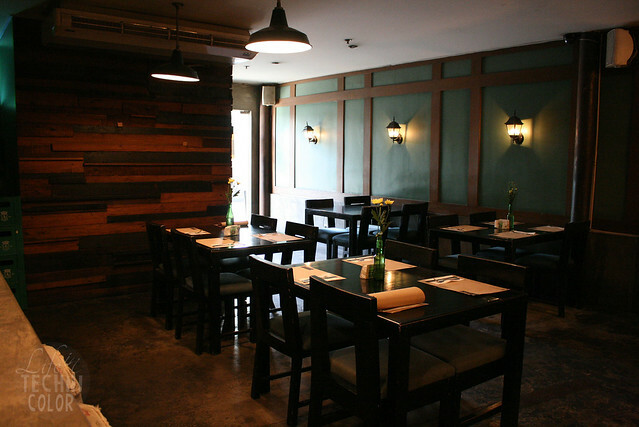 I can already see myself here at 4am on a random Tuesday. Haha! 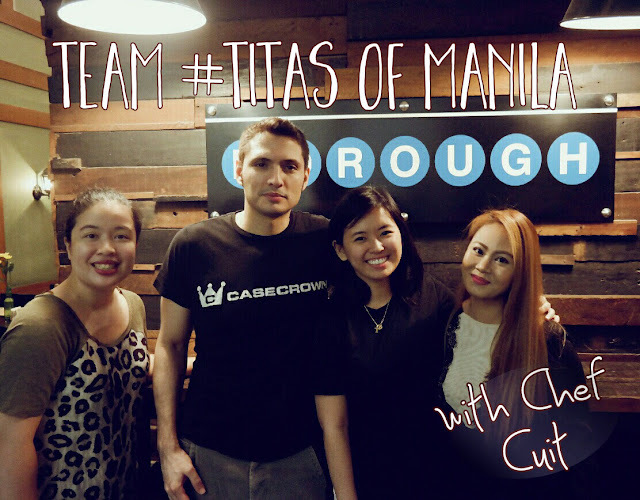 The bloggers were divided into 4 teams, with Jen, Jel, and me in Team #TitasOfManila. 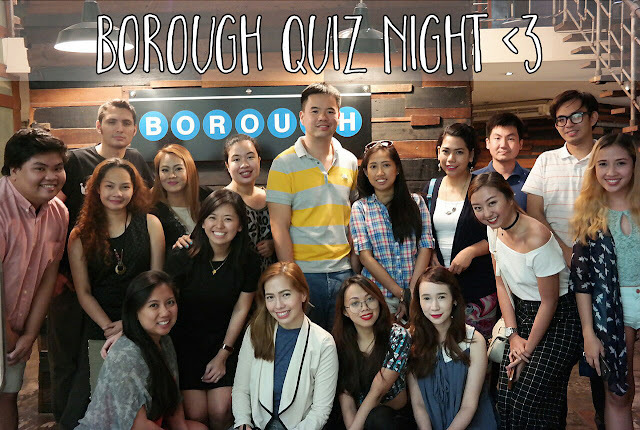 Here we are with Chef Cuit of Borough! 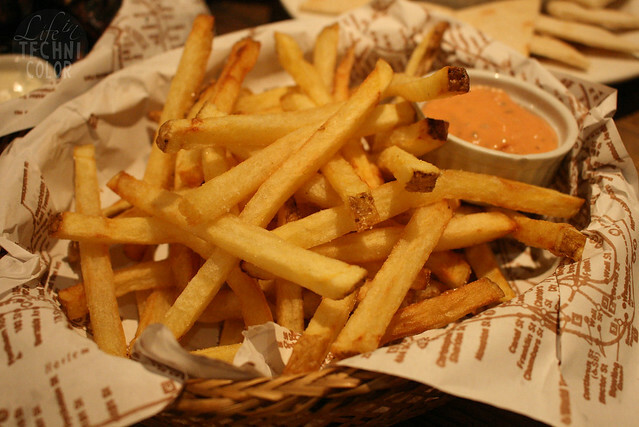 I tend not to order fries in restaurants since they're often just store-bought, but I love the special Odessa sauce the Fries in a Basket came with! I have no clue as to what's in it (they won't tell us! ), so you'll have to order it to know what I'm talking about! 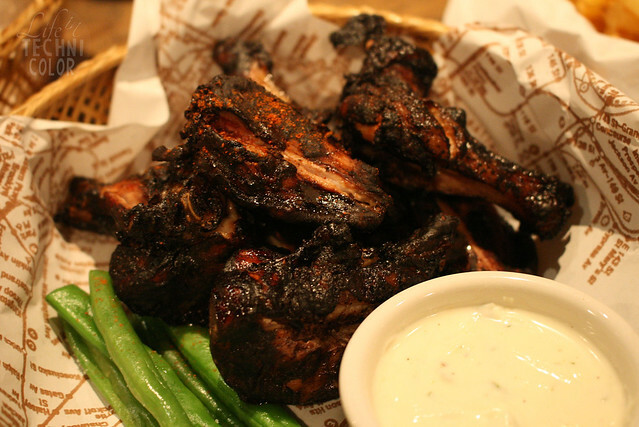 We also got to try two of their chicken wing offerings - Buffalo and Chocolate! 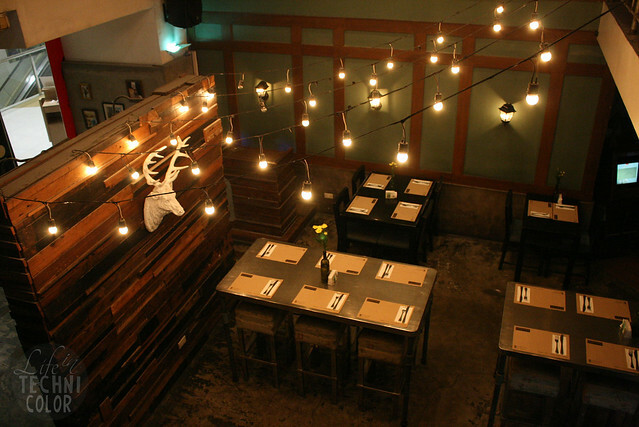 The Buffalo Wings is your classic spicy wings served with blue cheese, while the Chocolate Wings is coated in cocoa and cinnamon then served with cilantro sour cream. 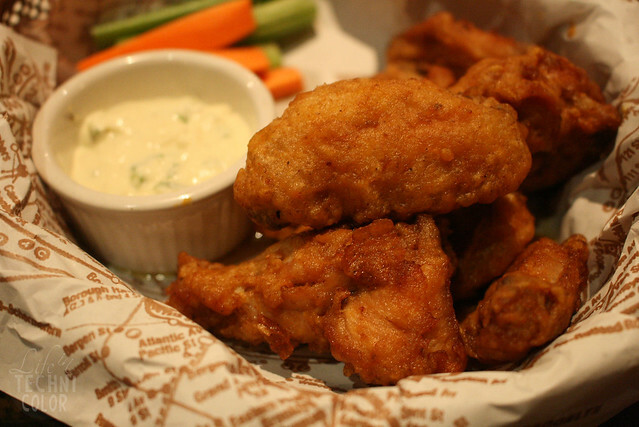 If I were to pick a favorite, I would have to go with the buffalo just because I'm in love with blue cheese dips! My newest favorite bar chow! 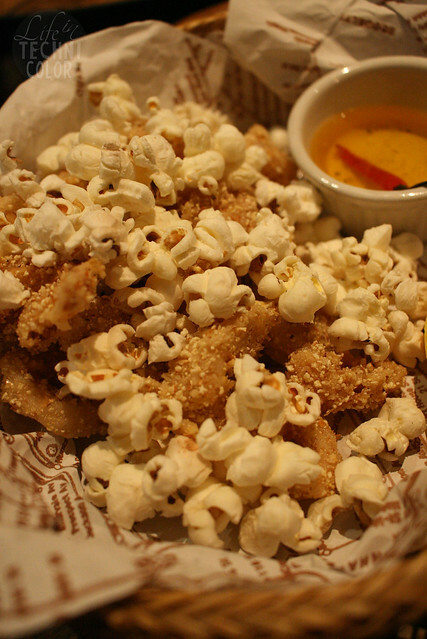 This popcorn-crusted fried squid is served with clarified chili butter and tossed with extra popcorn for good measure. I don't quite know how to explain it, but according to BBCGoodFood, clarified butter is butter from which all milk solids have been removed. The main reason people use this is because it can withstand higher temperatures without burning compared to normal butter, but I'm not sure if it matters in this case since it was just used as a dip. Haha! 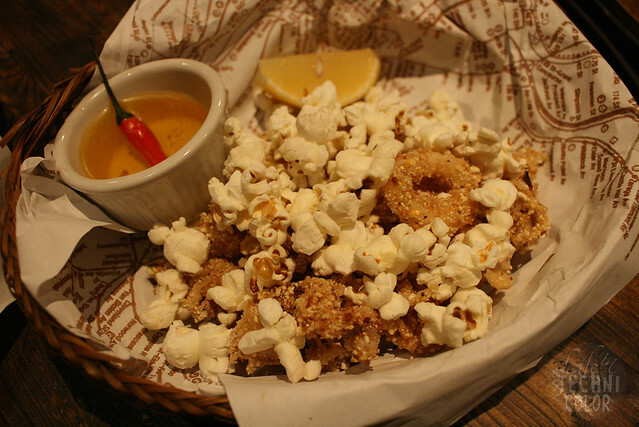 Long story short, it makes the calamari buttery and more flavorful! Yun nalang! Haha! 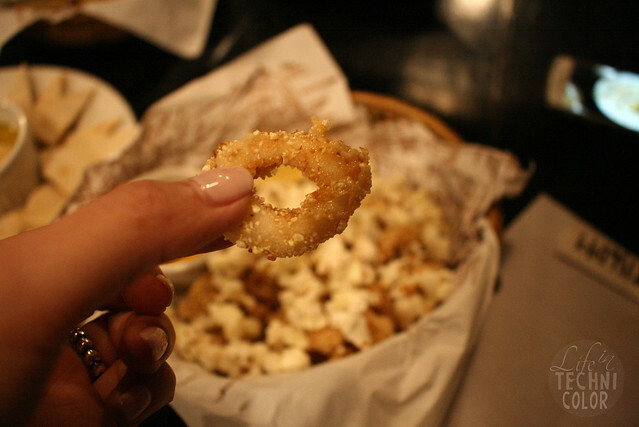 I don't particularly like onion rings, but this one was hella good! 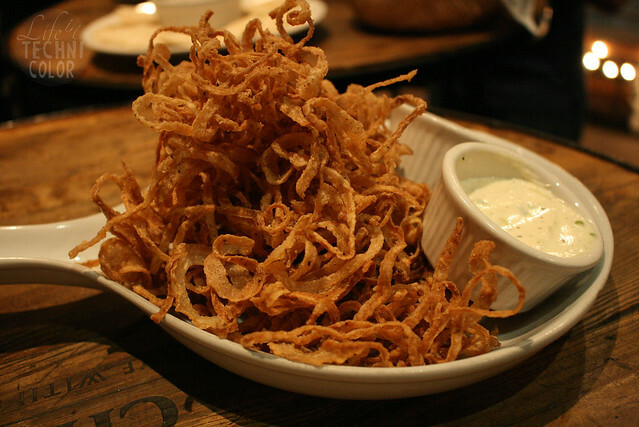 These thin cut onion rings are piled high and served with both BBQ and sour cream onion dip. 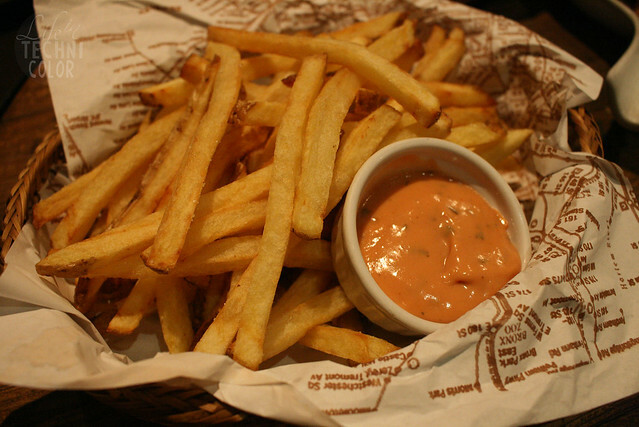 I especially loved it with the BBQ sauce! It's seriously unlike anything I've ever tried before! I thought this one stood out the most since it's so different from everything else. 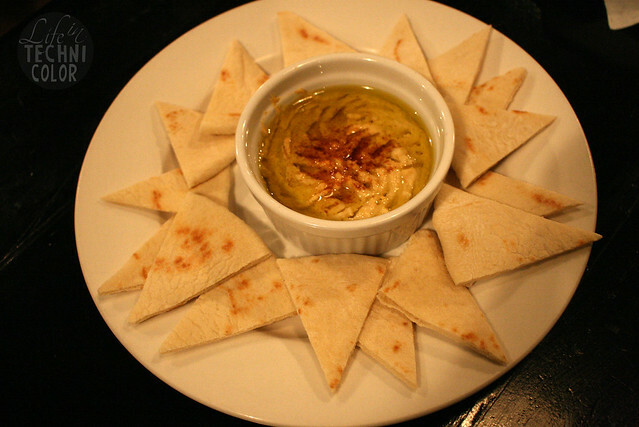 For those who don't know, hummus is blended chickpeas mixed with extra virgin olive oil (and garnished with paprika). 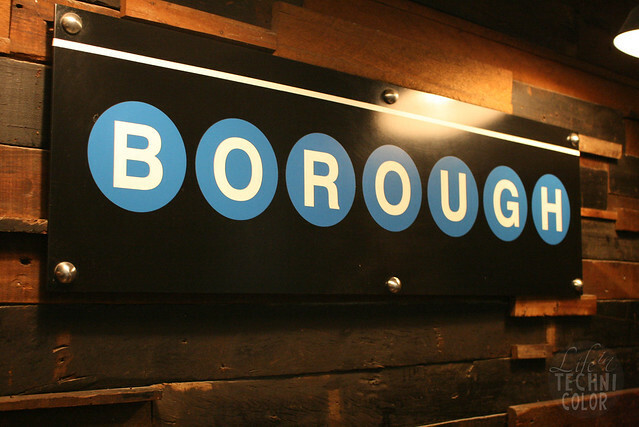 It comes with Borough's homemade pita bread which was perfect in all aspects - flavor, thickness, texture, and consistency! 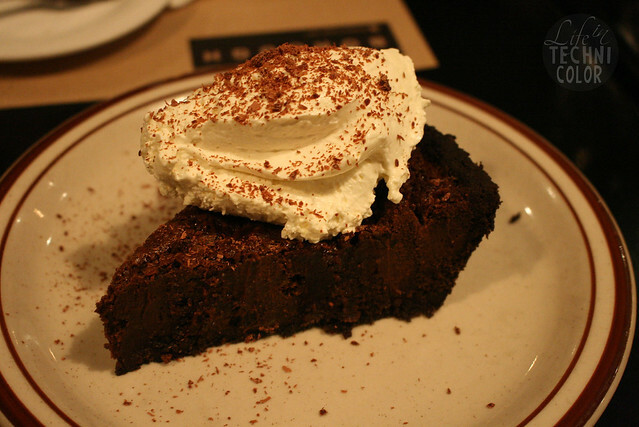 After the quiz night (our team lost, by the way), some of us stayed for Borough's famous desserts - starting with the Milk and Cookies! 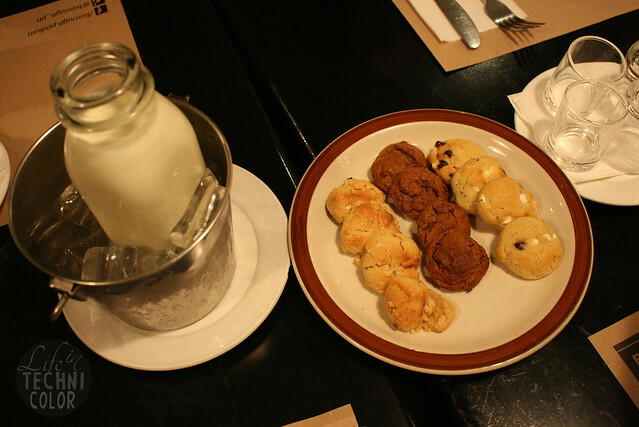 A normal order of Mom's Milk and Cookies costs 220 pesos, but since we were in dire need of some comforting, we doubled up our order for an additional 200 pesos! 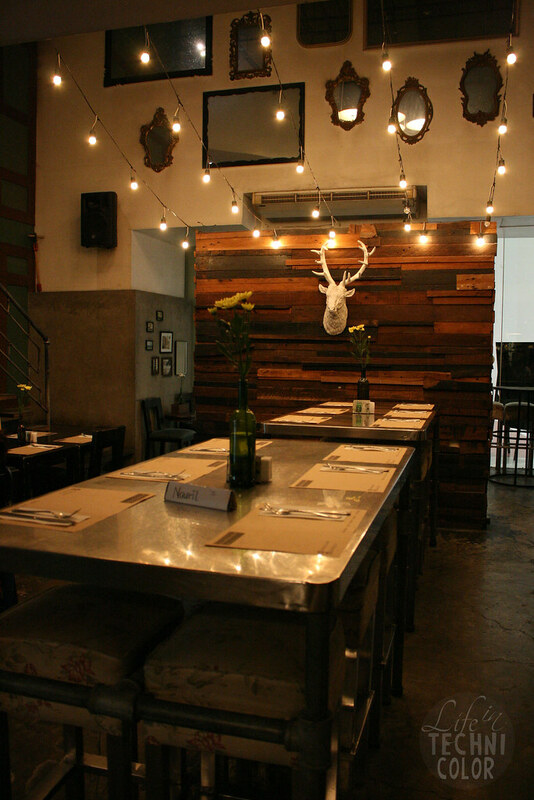 It came with a plate of twelve freshly baked, chewy cookies and a pitcher of cold milk for dipping and/or drinking! 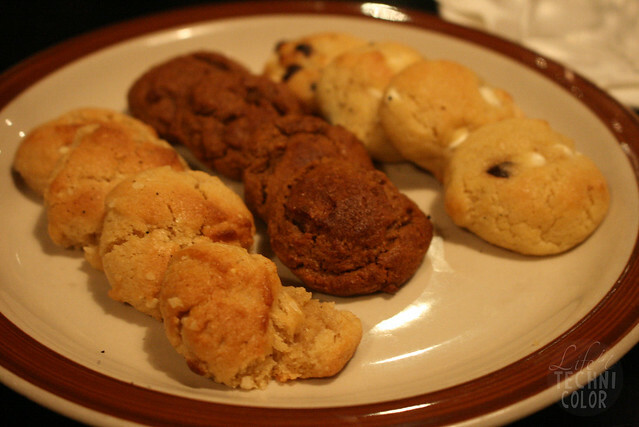 The cookies came out warm and underbaked, exactly what I was hoping for! 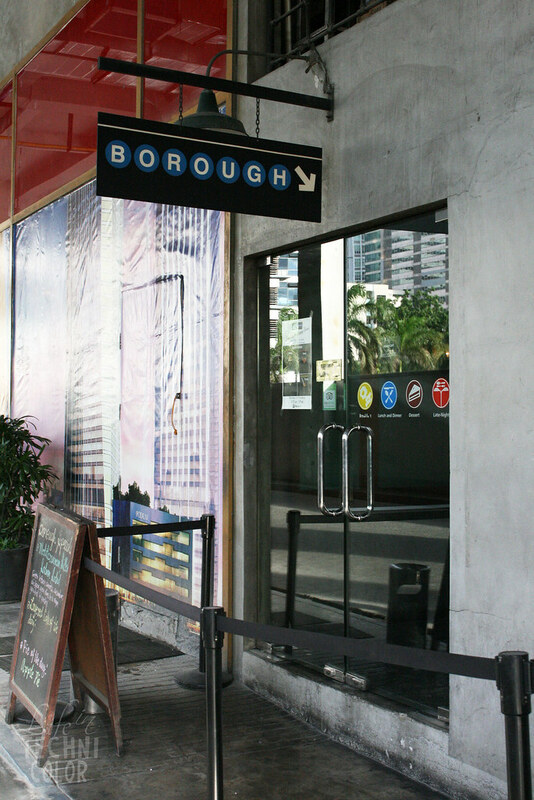 Borough is located at the ground floor of Podium, ADB Avenue, Ortigas, Mandaluyong City.